Do you need a 7 or higher on the IELTS? Do you have a limited amount of time and money to prepare? If you are in this position then you must maximize the time that you do have and do the right things every single day to get ready for your exam. If you don’t want to take the exam multiple times, it’s best to find a quality IELTS course where the IELTS study plan has already been created for you. However, if you want to create your study plan by yourself, today you will learn four things that you need to think about when you create your study plan. 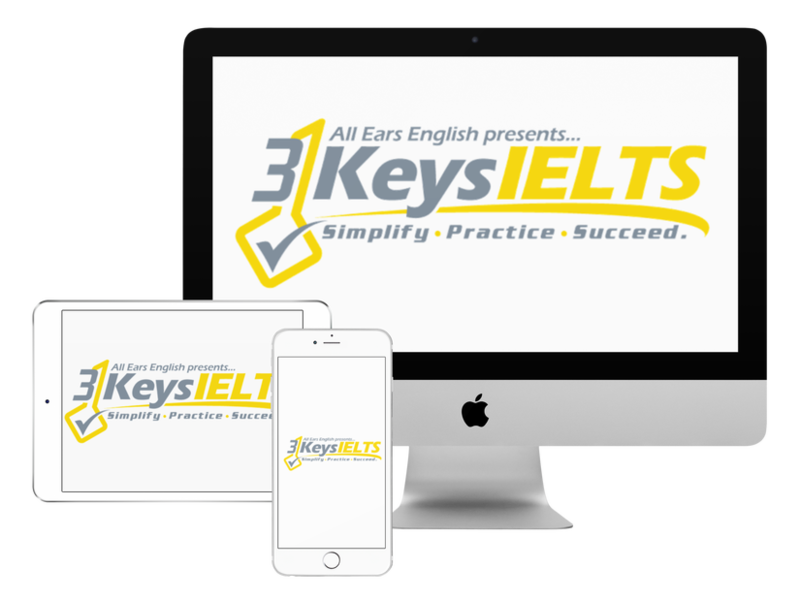 Click here to get a score increase on IELTS. To get a 7 or higher on IELTS you need to focus on two things: test strategy/practice and general fluency. You can’t ignore either one of these. They are both important. Exercises to improve your general fluency such as listening to podcasts with different accents, meeting with a native English conversation partner for speaking practice, reading the NY Times or another high-level newspaper and other solid activities to help you build confidence. Write out your daily preparation activities and be sure that each week includes general fluency build and test preparation. If you leave either of these out then you are unlikely to get the score you need. Should you include practice tests under test conditions every week in your study plan or should you place most of the test practice at the end? It’s better to do most of your practice tests during the final 25% of your preparation time. You need to build your foundation by learning test strategies and improving your general fluency first. This will help you get confident so that you when you take your practice tests, you will be able to use those strategies that you have learned. Should you take a practice test before you start your study plan as a pre-test? If you are at a lower level it’s best to avoid early practice tests and focus on strategy first. Learn more here: When Should I Start Preparing Under Test Conditions? The stakes are high when it comes to the IELTS. This test will determine your future career opportunities and what happens in your life moving forward. It will also determine opportunities for your family if you move abroad with them. Unless your level is already very high, it doesn’t make sense to do this by yourself. Work with a qualified IELTS professional and have them check your IELTS Speaking and IELTS Writing practice tests. You could create your IELTS study by yourself and have the professional check it and add a few ideas or you could ask them to create it for you. Whether you take a full IELTS course or just check in with a professional every few weeks, you can’t do this by yourself. How many students have you prepared for IELTS and what scores did they get? What are your IELTS strategies and how do you know they work? Can I speak with your former IELTS students? There are many ESL teachers out there who say they can prepare you for IELTS but they don’t have the depth of knowledge that they need to help you get your target score. Be careful when you make your choice! Don’t make the mistake of believing that a simple “tip or trick” will help you get the score you need. On our IELTS podcast we give you tons of “tips and tricks” but they are not meant to be your only practice. They are meant to be a starting point or just a taste of the information that you need. You need to go deeper in your study plan. When you create your study plan you need to include more substance where you are learning real strategies in a step-by-step manner and then practicing them in an intensive format. If you rely entirely on free content such as quick tips and tricks then you will miss the in-depth practice and implementation of the strategies that you need. Be smart when it comes to IELTS preparation. Invest your time and money in your dream and you will see results but don’t try to take shortcuts tips and tricks. If you follow the suggestions above you can create a great IELTS study plan which will give you the structure and daily actions that you need to get closer to your target score. Remember, a daily study plan is not going to help you if you don’t use it! Block off a specific time each day (2-3 hours for 30 days) to prepare for IELTS. Put in the time, take the right actions, and use the right materials and you will get your target score. What questions do you have about how to create an IELTS study plan?